This guest post was written by my friend Sarah, whose son was in the same school and year as Abi. As her son turned 13 this weekend, Sarah reflects in this moving and inspiring post on what it is to be forever 12.When my eldest reached the milestone of his teenage years last week, it was a chance for me to reflect – on his life so far and on his life still to come – his journey through GCSEs, A Levels and girlfriends to adulthood. But it was also a chance for me to reflect on my friend Kelly, who blogs at Chasing Dragonflies, and her daughter Abi. Because Abi will be forever 12. Eighteen months ago, I’d never heard of Kelly or Abi. But one day my son came home from school and told me a girl in his class was very ill and all the girls were crying. When I saw the headlines online a few days later, I knew the worst had happened. I still didn’t know Kelly, but I wrote this post for that daughter that was loved and lost. She could have been my daughter or my son. She died at the age of 12, it couldn’t have been predicted and it couldn’t have been stopped. I got to know Kelly through a mutual friend when I first thought about going freelance. She does proofreading and editing and she offered me a few words of advice. I didn’t hear from her for a few months after that. It turns out she was rather busy having a baby. A couple of months ago, Kelly got in touch asking for blogging advice. I told her about linkies and pointed her in the direction of a couple of higher profile bloggers who could share her story and that was all she needed. Her blog is beautifully written and uplifting, even though it is about the saddest thing in the world. It doesn’t need my help to get noticed. But I felt I had a guilty secret. I had a confession to make. Because I’d written about her daughter before I knew her. I told Kelly I’d written the post, sent her the link, but told her she didn’t need to read it. But she did read it. I now know that Kelly wants to talk about Abi and wants to talk about death. She would encourage us all to do it and to be prepared. Because it happens to everyone and affects everyone. I think it was perhaps that post that cemented our friendship. I cared about Kelly and Abi before I even knew them. Because how could I not? What mother, what PERSON, wouldn’t be moved by their story? Abi was a few months older than my son. Even at 11 or 12, six months can make a difference to how old a child looks or how big they are. And girls go through puberty and growth spurts earlier than boys. Abi looked older than my boy. My son turned 12 and then he turned 13. And now I look at Abi’s picture and she looks like a little girl. She looks younger than my son. He has left her behind. Abi’s siblings too are growing up. Her younger sister will be 12 this year. She is catching Abi up and soon enough, like my son, she will overtake her. At the thought of my son turning into a teenager, it would be the normal thing to groan and make a joke out of it. But I haven’t done that. Because I thought of Kelly and Abi. Whatever the teenage years throw at us – strops, sulks, girlfriend problems, exam traumas, even drug and drink problems, I know that we are lucky. I know that Kelly would take all the stress and the trauma of the teenage years in the bat of an eyelid. Because she would give anything to have her teenage girl here right now, instead of forever 12. This entry was posted in Guest blogs and links, Remembering Abigail and tagged birthday, blogging, child loss, Death, grief by Chasing Dragonflies. Bookmark the permalink. 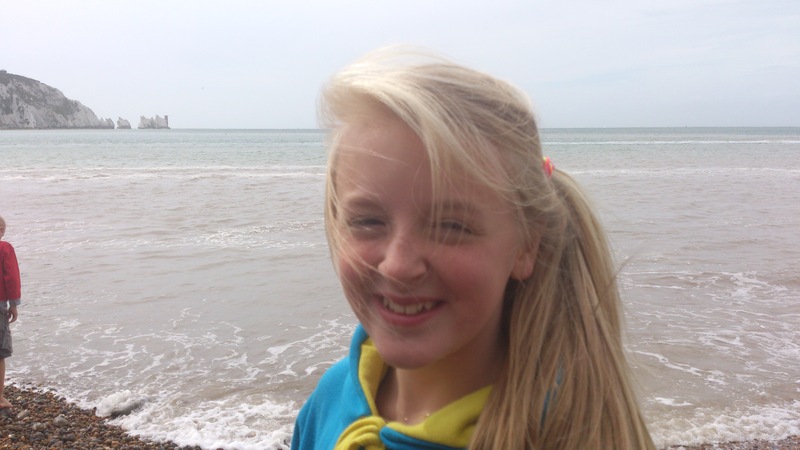 What a beautifully written post about Abi, I wouldn’t know a parent not moved by her passing. Grief can be very isolating, so it’s lovely to know you have bonded over this tragedy.